The LEKI Nordic Lite Shark Short is a half-glove that combines both comfort and flexibility. The glove is great when it is too warm to wear complete gloves, but if you do not want to go without protecting your palms. 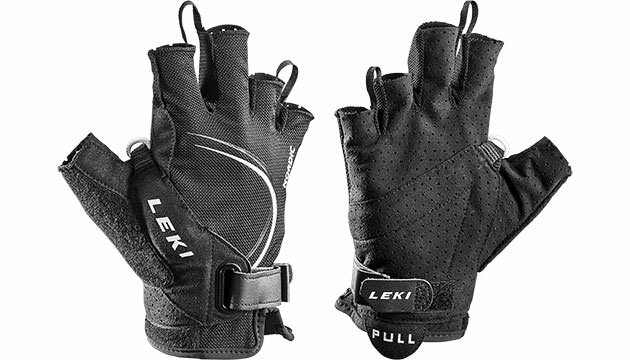 The glove works perfectly with poles that use the LEKI Trigger Shark system. With one easy click, you can attach the glove to the pole and release it again. A very comfortable, yet save way of using your poles.